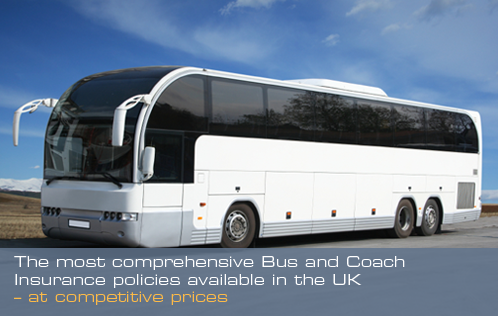 Bus or Coach Insurance renewals – what does a specialist broker need to know? Is your current broker working for you to find the best rate in the market? Thinking of calling a non-specialist bus/coach insurance broker? Insurers need a lot of information to be able to provide accurate and competitive premiums and it is the job of your insurance broker to collate this information and complete a presentation that the insurer will base their premium on. Getting all the information needed can seem very onerous to a client, but without it you run the risk of getting a policy that is not suitable for your requirements. This in turn can lead to policies being cancelled and you not been paid out in the event of a claim. From experience, we know that not all brokers, particularly those who do not specialise in bus and coach insurance, will fully market your risk to ensure that you are getting the best rate available. This can lead to you paying more for your insurance than needs be. Who will drive under your policy? What vehicles are to be covered under your policy? Confirmed Claims Experience (if the current policy is a fleet policy) or No Claims Discount (if the vehicle is insured on an individual basis). Cover and excess details (for example, Comprehensive cover with a £500 excess). Where is/are the vehicle/s kept overnight? What are the vehicles being used for (Private Hire, Stage Use etc)? If a broker doesn’t ask for this information then the chances are they won’t get the best rate available to you. Once the relevant risk information has been collected we put together a formal presentation that will be circulated to the major bus and coach insurers in the UK. If they want the business they will reply with details of the premium required, together with any terms and conditions that may apply. It is important to review all the quotations as the lowest rate is not always the best policy for you. There may be inhibiting restrictions for instance, such as the minimum or maximum age for the drivers allowed so you need to be aware of these before you make a decision. As a specialist in this market we are able to guide and advise you, enabling you to make a fully informed decision. Sound like the kind of broker you’d want working for you?